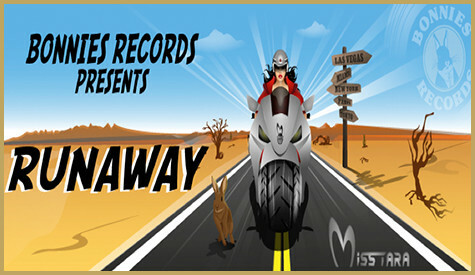 Runaway presents a blend of organic flute melody, violin touch and heavy base drops. The sensual flute sound combined with the heavy solid kick creates a definite festival banger. The artistic violin classic-style breaks fused with the progressive electro beats, form yet another transcending dance track. Miss Tara is currently touring and working on her next productions, and during that time she will be releasing a series of beats on Bonnies Records label. Stream Miss Tara’s new single ‘Runaway’ here and let us know what you think by leaving a comment on her Facebook page.